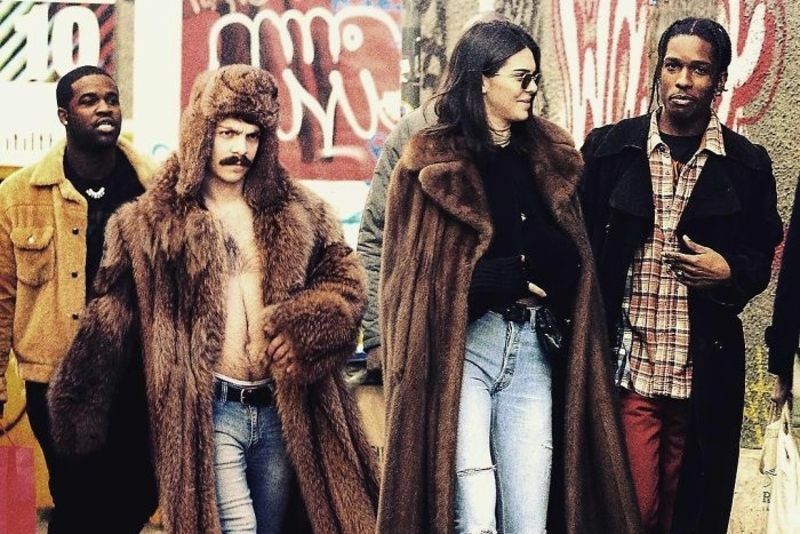 Kirby has been around for a long time and he (hilariously) keeps photoshopping himself into Kendall Jenner's photos. Naturally, over the years his skills have improved tremendously, or are they pulling our chain and actually hanging out together? Can you tell? He has just gained a whopping 1-million strong Instagram fan base while doing so. "As my older twin sister, Kendall and I share an unbreakable bond. Mom says we’re kinda like Siegfried & Roy but with fewer tiger attacks and even more magic tricks," Kirby told Bored Panda. "And, to be honest, I really look up to Kendall. She does a lot for the fam, recycles all of her bottles and cans, and even has a gorgeous singing voice (baritone). She also supports all of my failed business and pipe dreams. We’re actually thinking of starting a microwave business where it’s kinda like 'Pimp My Ride' but with microwaves instead of cars. Could be a dope TV show..."
"People keep asking me about Photoshop but I literally don’t even know what it is. I asked my friend, Ziti, to explain it to me bc he’s the most computer-y dude I know and it was so overwhelming it made my stomach hurt. But you know what I can explain? Microsoft friggin Paint. First, I open up a fresh new doc. Then, I use the pencil tool to draw a bird or maybe a sword or a giraffe. Sometimes I just doodle. Then I use the paint bucket to fill in different colours. There’s also a Stamp tool but I don’t know what it does. Then I have Kim help me print it out from mom’s printer/scanner combo and give them out to my friends." Kirby is hilarious, check out the gallery above to see what I mean! Video: The Worst Life Hacks... Ever! Video: The Hidden Talents You Never Knew Your Favourite Celebrity Has! Video: Lets Take A Look At That Funny Bone, Shall We? Video: The Ultimate Doomsday Prep You Should Definitely Know! Video: The Cat Stand Off – Round 1!